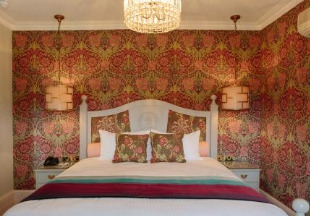 The oldest documented building Beaconsfield, dating back to the 1400’s is now a luxurious and flamboyant hotel boasting two restaurants, a vibrant bar, an outside swimming pool and a jacuzzi alongside boutique bedrooms (some with copper baths that fill from the ceiling!). Originally a 17th century Coach House and family owned for over 50 years, the Revere Hotel is ideally situated only a few minutes' walk from the Esplanade and beach. 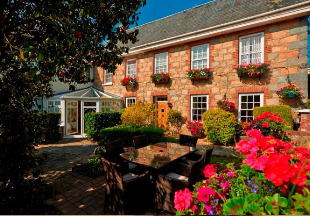 Nestling in the country Parish of St. Martin close to one of Guernsey's most beautiful beaches, La Barbarie Hotel provides easy access to the South coast of Guernsey. Features a heated swimming pool. Set in the countryside just a short drive from Stoke-on-Trent and Crewe, this 17th century converted farmhouse offers modern bedrooms, an award-winning restaurant and a heated indoor pool and sauna. A warm welcome to the Crown & Cushion Hotel. 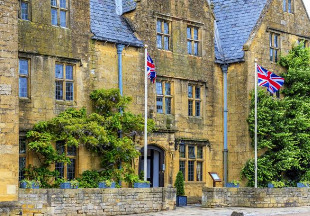 Originally a 15th Century Coaching Inn, the Crown and Cushion is now a proud 40 bedroom hotel right in the heart of the Cotswolds. As well as boasting 40 en-suite bedrooms there is a cosy Traditional Bar, Bistro Restaurant, Comfy Lounge, Alfresco Dining on our the floral Terrace, Private Dining Room (up to 16 guests), 160 guest Function Suite (with own Bar & separate entrance), 2 further Conference Rooms, Health Club - Pool, Gym, Squash Court and wifi available. 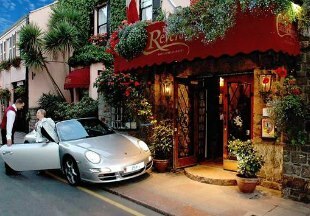 This four star hotel dates back to the 1500's and is full of character and original features. 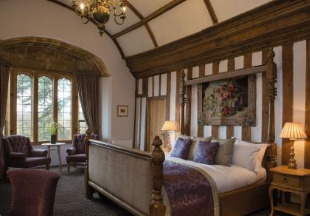 Dining at The Lygon Arms is provided in The Great Hall, which is decorated with suits of armour. A varied à la carte menu is offered to guests, or informal dining can be enjoyed at The Goblets Bistro. The hotel has excellent Spa facilities including a gym, spa bath, steam room, swimming pool with retractable roof and sauna. 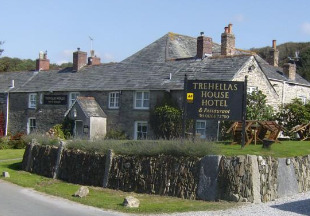 Nestled amid the beautiful Cornish countryside, just off the main A389 between Bodmin and Wadebridge, this charming hotel is beautifully set within a Grade II listed building, dating back to the early 18th century. A former courthouse, today the building still retains many of its beautiful original features. Close to the Eden Project, the Lost Gardens of Heligan, Lanhydrock, Padstow, Rock and Wadebridge, Trehellas is perfectly situated. Heated outdoor swimming pool (open May to September), lovely gardens, large patio area and ample parking for hotel guests and diners. Set in 1.5 acres of gardens and terraces above one of the prettiest bays in Cornwall with views from Rame Head to St. George's Island and the Eddystone Lighthouse. Private swimming pool above the garden with sun terrace. Fresh seafood from boats in Looe Harbour is a speciality. Extensive wine list including both Old and New World wines. All rooms en-suite, many with sea views. 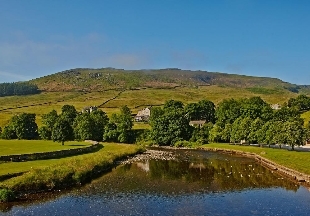 Conveniently located between the Lake District and the Yorkshire Dales in the market town of Kendal, Stonecross Manor is the ideal base to visit England’s best-known National Parks. Stonecross Manor boasts comfortable bedrooms, a restaurant offering a mix of modern and traditional cuisines along with a newly refurbished indoor pool. 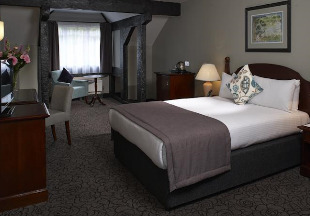 Set in the quaint and tranquil Lake District village of Grasmere is the Inn at Grasmere. 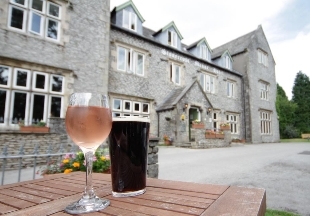 Boasting breath-taking views and Lakeland air with glorious countryside, the inn enjoys a fantastic setting. 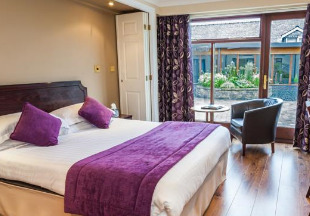 The inn itself has recently refurbished bedrooms, an excellent restaurant and a leisure club featuring a indoor swimming pool, spa bath and sauna. 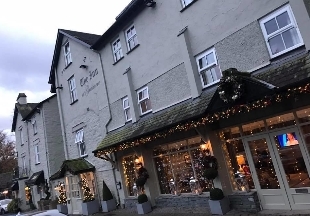 Set beneath some of England's highest fells and overlooking Bassenthwaite Lake, the Castle Inn is the ideal location to explore the northern region of the Lake District. From the mysterious trails through Dodd Wood or the glorious views of the surrounding countryside, to the magic of the nesting site of the beautiful Osprey or the majestic Skiddaw Mountain Range, there is something for everyone to enjoy. Our extensive leisure and conference facilities, as well as easy motorway access, also make the Castle Inn the ideal venue for the business traveller. Unrivalled location commanding one of the most dramatic settings in the South West, positioned on the waters edge with stunning sea views over the rugged North Devon coastline. Private steps lead directly to the sandy beach. 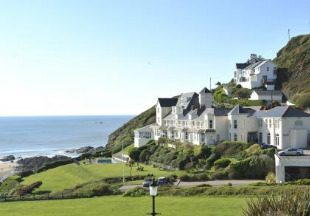 Watersmeet Hotel is one of the finest coastal hotels in the West Country. 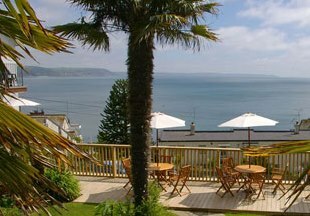 The candlelit restaurant enjoys superb views of the coastline. All but three bedrooms have spectacular sea views. Lunch or tea may be taken alfresco on the terrace, by the pool or in the garden. Recreational facilities include heated indoor and outdoor pool with steam room and hot spa. Situated just half a kilometre from Bournemouth town centre, this highly rated three star hotel is ideally situated for the beach. 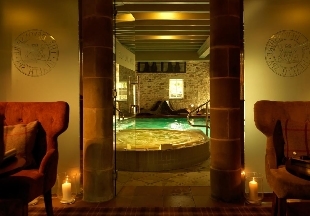 There is also a two AA rosette restaurant, a swimming and spa pool, steam room, sauna, gym, as well as spa treatments for those after some pampering! The Connaught Hotel also has been awarded the Silver Shield by Green Tourism for Business for its efforts in environmental and local community support. 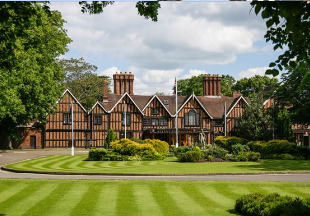 This charming 16th century coaching inn with Tudor beams and log fire has been magnificently extended to include a leisure complex with swimming pool, sauna, steam room and gymnasium. Enjoy historic public rooms, carvery restaurant, bars and terrace overlooking the downs. Discover picturesque Lewes one of England's prettiest county towns. The Montagu Arms can trace its origins back to the 17th century, including atmospheric period features from panelled walls to beamed ceilings. The 22 luxurious traditionally-decorated bedrooms (some with four-posters!) are a delight. Guests can dine in the cosy atmosphere of Monty's bar and brasserie, or enjoy the award winning Terrace Restaurant with views over a splendid terraced garden. Residents have included in their rate access to a Private Spa located only six miles from the hotel through one of the most beautiful parts of the New Forest. The facilities available include swimming pool, poolside sauna, steam room and jacuzzi as well as state of the art gymnasium. Residents must be over the age of 16 years to use these facilities. 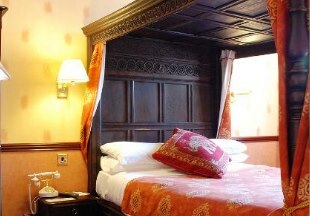 The Feathers Hotel, a traditional coaching inn, has been a resting place for travellers since 1564. 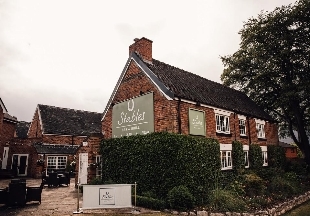 Still maintaining its original Tudor architecture, The Feathers Hotel offers comfortable individually designed bedrooms, a bar offering local ciders alongside a range of wines, ales and spirits and a restaurant with an extensive menu. The hotel also features a Leisure Spa that boasts a indoor heated swimming pool, jacuzzi, steam room and exercise room. This imposing country house hotel is just a 10 minute walk from Tunbridge Wells Rail Station, perfect for a short escape from London. Boasting free WiFi internet, 14 acres of grounds to explore and a spa featuring two gyms, swimming pool, steam room and sauna, this is a great venue for an 'away from it all' break in the country. The Chandelier Restaurant offers quality, traditional cuisine, whilst the more informal Zagatos Bar has a great all-day menu. 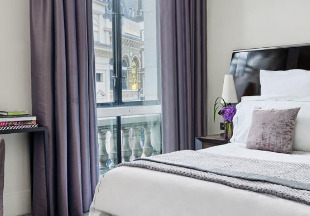 Situated within a stones throw from the theatres of the West End and only a five minute walk from Covent Garden tube station, One Aldwych is situated in a fantastic position for exploring all that London has to offer. 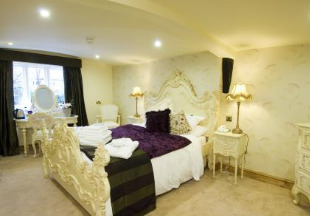 Inside the bedrooms are iPod docking stations, free WiFi and fresh fruit and flowers delivered daily. The hotel's swimming pool has underwater music, and there are also luxury steam and sauna rooms. 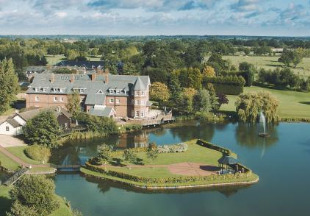 Set in amidst the beautiful Northamptonshire countryside, Fawsley Hall is a luxurious four star hotel within easy reach of Milton Keynes, Rugby and Northampton. The hotel has been awarded 4 AA Red Stars and the restaurant 3 AA Rosettes, both of which reflecting the luxurious nature of the hotel. The newly opened spa offers a range of treatments, as well as an indoor swimming pool and outdoor hydro pool. Standing on the banks of the River Thames, close to the heart of Oxford, with some rooms dating back to the 12th century, is the De Vere Oxford Thames. 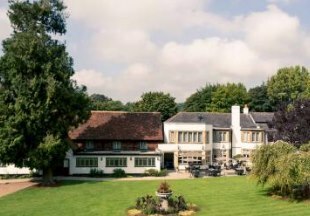 Set within 30 acres of parkland, the hotel offers luxurious rooms, a restaurant overlooking the Thames and a heated indoor swimming pool. 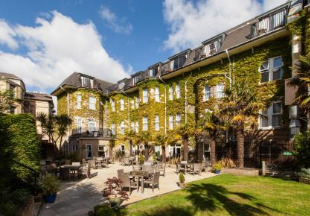 Renowned as one of the premier hotels in the South West of England, Charlton House boasts all of luxuries you would come to expect from a four star hotel; fantastic spa treatments, a hydrotherapy pool, a steam room and a restaurant serving traditional classics with fine local ingredients. Located close to Glastonbury and Cheddar Caves. Bedrooms feature free WiFi internet access. 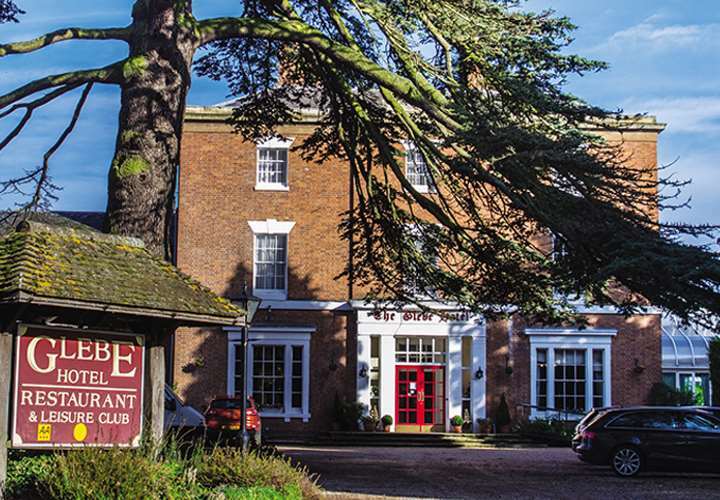 Originally built as a rectory to the Church of St. Peter that stands adjacent, The Glebe Hotel and Leisure Club now offers warm welcome to guests visiting the Heart of England. With 39 individually styled bedrooms, some with feature beds, its location and facilities has made The Glebe Hotel one not to be missed. 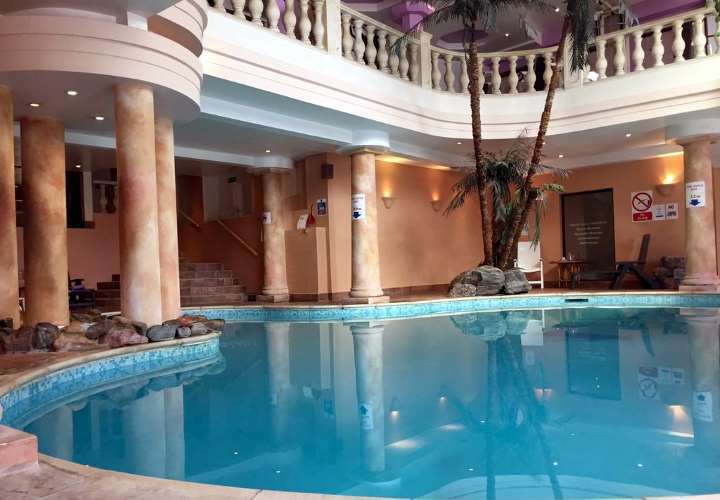 This fabulous four star hotel features a range of facilities including an indoor and outdoor poor, a nine hole golf course, tennis and squash courts, a gym, as well as an all important leisure bar where guests can relax after a workout (or a pampering!). For those looking to explore the local area, both Warwick and Stratford-upon-Avon are just a short distance away, whilst the lovely Warwickshire countryside is quite literally on the doorstep. 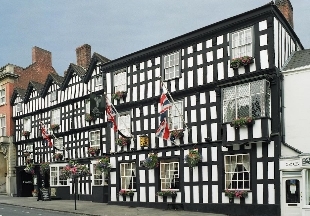 This magnificent, half-timbered hotel is just a few minutes' easy walk from the Royal Shakespeare Theatre and Stratford's attractive town centre. 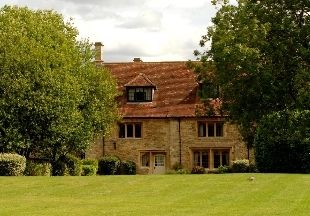 The Alveston Manor is well known both for its Manor Grill Restaurant and also its splendid old cedar tree - reputedly the spot where Shakespeare’s 'A Midsummer Night's Dream' was premiered. In September 2003, the hotel opened its new leisure facility which includes a pool, gym, sauna and beauty treatment rooms. Angmering Manor, part of our Prestige Collection, is an outstanding hotel, restaurant and bar, situated in the heart of Angmering village. Thought to have been built in the 16th century by missionaries, it has been completely refurbished throughout. Each thoughtfully decorated en-suite bedroom offers a unique and individual design and is furnished to the highest standard. Fine dining is available in the superb a la carte restaurant which is prepared by our award winning chef. Full leisure facilities, a heated indoor swimming pool, mini-gym and sauna are also available during your stay. 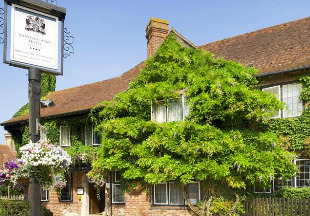 This charming country house style hotel rests only a few minutes from London Gatwick Airport, offering inclusive on-site long-term airport parking. The Copthorne is ideally located, offering easy access to the many attractions in the local area. When it's time to unwind, try the hotel's own leisure club, with its fully-equipped gym, squash courts, swimming pool and steam room. The award-winning Lion d'Or is a must for the guests looking for something special. Alternatively, the Brasserie Restaurant has an excellent choice of carvery, themed and extensive children's menu. This 17th century inn is set within 30,000 acres of land on the Bolton Abbey Estate, the gateway to the Yorkshire Dales. 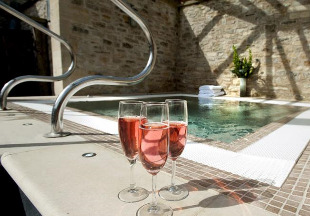 Boasting a 4 AA Rosette restaurant, comfortable rooms with views of the Yorkshire Dales and a luxurious spa featuring a sauna, steam room, swimming pool and whirlpool. The Devonshire Fell Hotel located on the edge of the Bolton Abbey Estate with breath-taking views of the Yorkshire countryside. 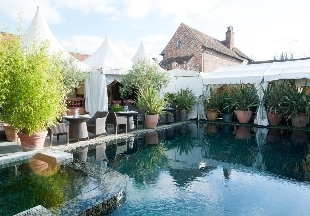 Boasting a 2 AA Rosette restaurant a vibrant and cosy bar, individually designed bedrooms and use of the luxurious spa located at the sister hotel that includes a sauna, steam room, swimming pool and whirlpool. 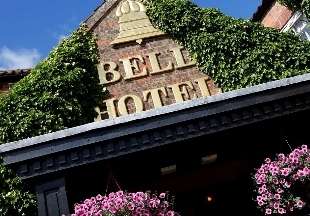 The 18th century listed hotel located in the quaint market town of Driffield, the Great Western Bell is rich with history and combines modern comfort with traditional hospitality. The hotel features a gym, spa and indoor swimming pool. Welcome to our handpicked selections of hotels and inns with swimming pools, featuring both outdoor pools and indoor pools. Many hotels also offer leisure facilities such as spas, gyms and saunas. For even more choice, we have also partnered up with Historic UK to offer a large selection of holiday cottages with pools.